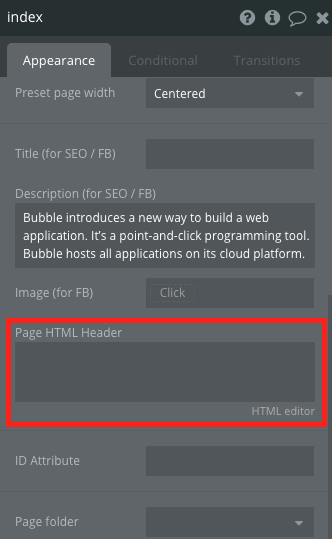 Can any one guide me how to implement https://www.papaparse.com/ into bubble? I am trying to convert csv files to json so I can send the json reulsts as a POST request to bubble’s endpoint to create a new things. I cant do a straight CSV upload because the headers in bubble’s DB do not match the fields in the database. Would love for someone to help with this question! Hello, We’re introducing a breaking change that we recommend you migrate to. We’re now running custom HTML headers (both at the page level and at the app level) after other Bubble assets, which is a safer approach (so far, a syntax error in the HTML could break entirely the page). This should only impact apps where the custom HTML headers need to run before Bubble’s core code, which is highly not recommend, as we could introduce a change that breaks things without warning. 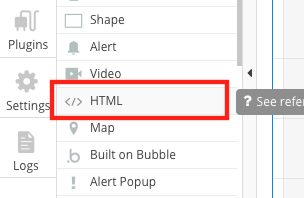 Hi @shawn.chaudhery What is the best way you found to implement flatfile inside bubble? 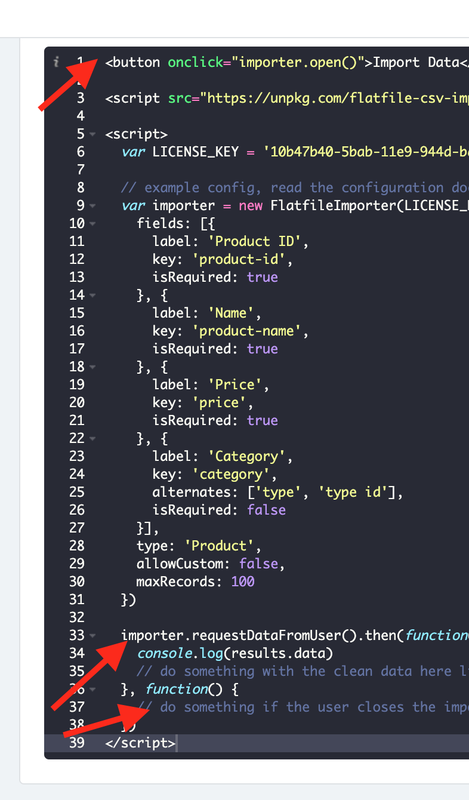 Flatfile.io can be expensive so if you do not need the validation functionality then I suggest going with Papaparse considering it’s free. Talking about html header, do you put the script in here? Otherwise with Papaparse, I kept on having an error telling me that “Papa is not defined”. 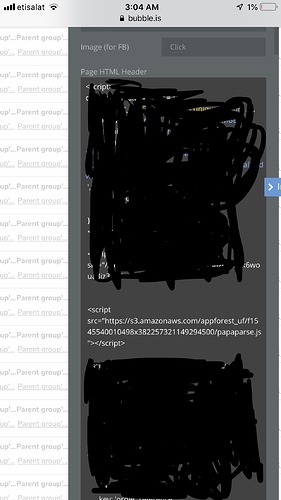 Yea the Page HTML Header is where it goes, make sure you have Papa Parse dependency (Library) linked to the page or else you will get that error of it not being defined. Download the library from the papaparse website and you can upload it to root folder of your bubble app under the settings tab. Are you able to retrieve any error with papaparse? I created a file with some mistakes, and I got error inside the browser (Chrome editing mode) not within the plugin error value. Interesting, thanks. Will try that. You can also use Integromat. They have a CSV parser and a JSON Aggregator. 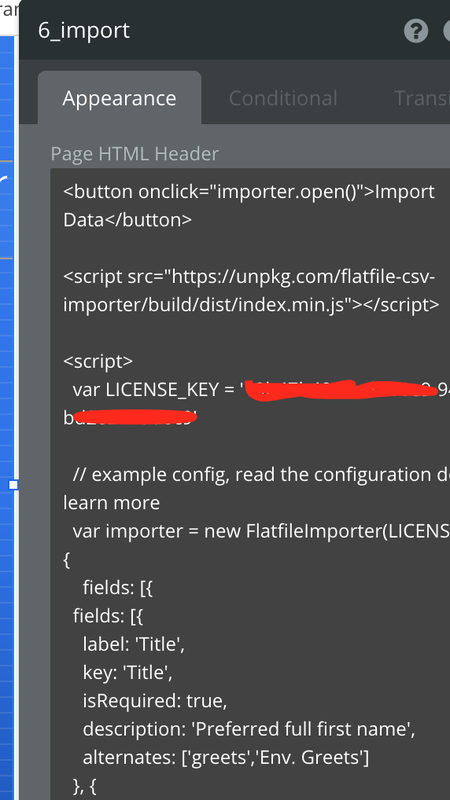 I have to implement Flatfile (papaparse plugin jammed with big file…). How do you implement it if you can share? They are looking to create a plugin, but until then… or PM if you can. Papaparse has a configuration option which you can enable if your processing large files, how many records where in the file which jammed up the page? Remove the button tag with the import function from the script (Line 1). 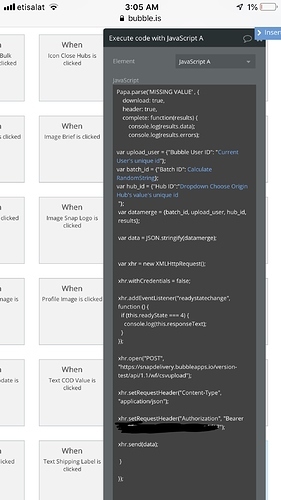 You should be able to see the results in your console log (chrome browser). If you run into a issue, you can share the editor with me and I can help out.